The political ads are in full swing. You’re exposed to the mudslinging as you read the news, check your Facebook, drive your car, and watch the nightly news. You may think you’re strong-willed and can tune out the political banter, but for better or worse, these tactics work. It’s why political ad spend projections are well into the billions for the year. Instead of dwelling on your abhorrence, let’s utilize these detestable moments in media. 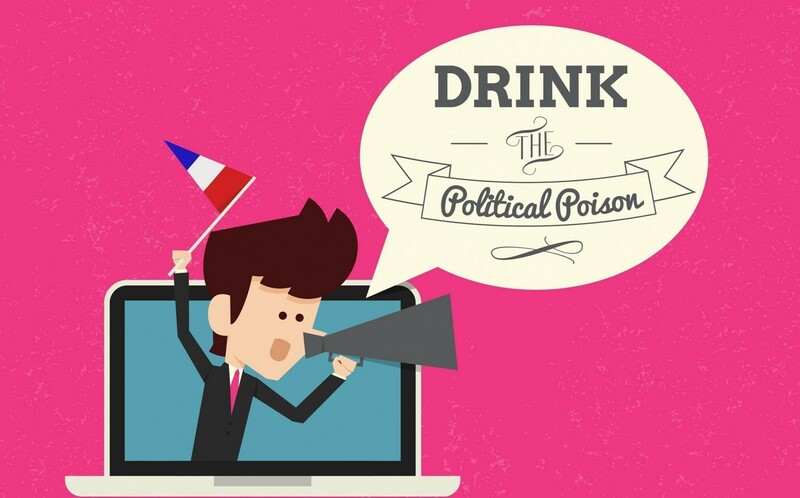 Let’s take a look at why these political poisons are so powerful and see what we can learn. Sure, some ads are positive – they host cheery imagery of a candidate shaking hands, speaking with families, and you know, being happy. But many are sucker punches; I mean they’re really low down and dirty. They make you uncomfortable just listening to them. So if these spots make us all feel icky, why are they effective? Think about it. Would you watch a television show if everything always went perfectly? Probably not. Conflict captivates us. It’s why shows like The Walking Dead and Game of Thrones dominate television. It’s the same reason we remember these ads when it’s time to vote. You may not even recall what exactly the ad said, but the proof is in the polls – you got the message. To utilize the power of the negative, you don’t have to make your competitor out to be the scum of the earth. In fact, you don’t have to even mention them. You might find your negative niche by talking about an industry-wide problem and how you’re the solution. To really exaggerate this tactic, some brands create fictional drama to overstate their value. It’s the approach CareerBuilder took with their “hate your job” spot, and DirectTV takes with its “get rid of cable” ads. It’s equally effective and hilarious. 50 years ago, Lyndon Johnson ran one of the most significant political ads in US history. The ad, “Daisy” only ran once, partially due to outcry (read the story to see why), but also because that’s all it needed. The Advertising Age story goes on to point out this short-lived campaign pioneered earned media. If “Daisy” aired today, it would likely come with a social media advocacy campaign, three variations for television, its own microsite, as well as spots for Internet and traditional radio. Today’s media-hungry masses are exposed to tens of thousands of brand messages every day. A single TV ad would be forgotten about as soon as it aired. It takes a wide sweep and multiple platforms to hit your audience on enough fronts to ensure your message is not only communicated, but absorbed. Today’s skeptical consumers must see a message about seven times before they begin to absorb it. Remember this when you plan your next campaign. The best approach is to ensure your messaging hits your audience across a majority of the platforms they use daily. Not only does this create a feeling of legitimacy, but it simply increases your odds. Remember, you’re competing against thousands and thousands of other brands for a person’s ever-shrinking attention span. It’s tough. The next time the political punches come on TV, give it a second before you flip the channel. You might just learn something. For a group of 90s kids, few things scream “fun” louder than The Sandlot. Most of our team grew up with Smalls, Ham, Benny, Yeah Yeah, Squints and Wendy Peffercorn, and for many OOHligans, this was a landmark movie.